Stamped Sophisticates: Try My Digital Studio Free for 30 days! Yet another card I created for swapping at Leadership Conference mid January in San Antonio. I've posted even more photos from the conference in the photo albums on my Meetup site. 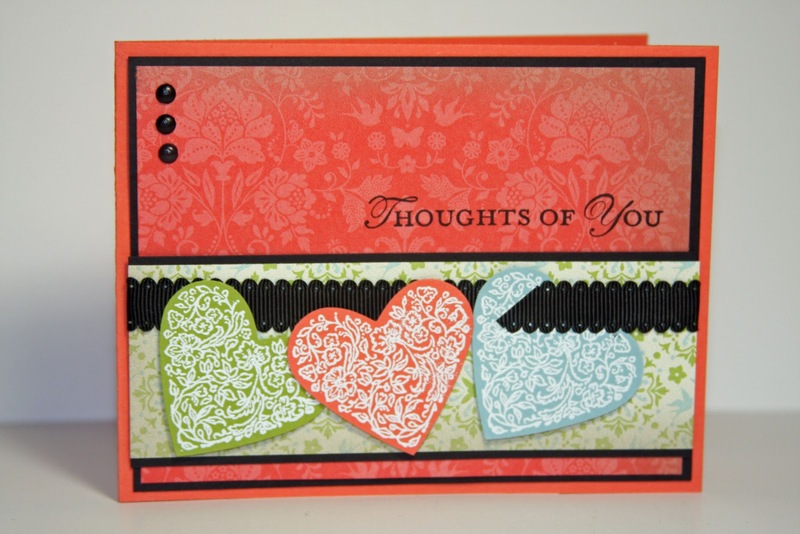 This card is made using two of the prints from the Everyday Enchantment Designer Series paper -- free with a $50 order from the Sale-A-Bration catalog. Demonstrators were able to pre-order stamp sets and papers, so was able to use this at Leadership. 2. Adhere the Poppy Parade print from the Sale-A-Bration Everyday Enchantment Designer Series Paper pack to the Basic Black background. 3. Using the Mat Pack template and the paper piercer, poke three holes for the black brads. Add the black brads. 4. Adhere the background layer to the Base card. Hint: be sure to dust your cardstock with the Powder Pal before embossing. 6. Adhere Basic Black and Pool Party print from Everyday Enchantment DSP and adhere it to the base card and background layer. Hint: Loosely place your layer into position and stamp your sentiment before permanently adhering the banner to the card. 7. Before adhering the banner to the card, place your ribbon and heart onto the banner and adhere ends of ribbon to backside of card. Adhere to background and Base card. Add remaining two hearts popped up on dimensionals. I know I showed you this paper during my last post, but I LOVE the new Everyday Enchantment Designer Series Paper...FREE with a $50 order and I wanted to you see all the lucious prints in this one package! I'm placing as many orders as possible during Sale-A-Bration just to get my hands on as much of this paper as I can! Here's a closer look at the great designs and colors in this paper pack. One more special I want to make sure you know about is the free 30-day trial of My Digital Studio Express. Digital designing is one of the hottest crafting trends right now!. And while mixing traditional stamping with digital designing may not seem intuitive at first, you may be surprised at how easy it to do. 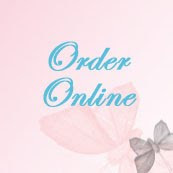 www.MyDigitalStudio.ne:t This website is designed for demonstrators and customers alike. It's the place to go for all things My Digital Studio! 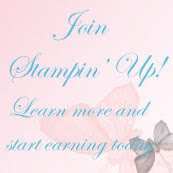 On this site you will find training videos, sample projects from other My Digital Studio users, a discussion forum, and the full Stampin' Up! digital catalog along with many other useful My Digital Studio tools. If you haven't yet purchased from the new Occasions mini catalog, you'll earn extra rewards when you select your free products with every $50 you spend from the Sale-A-Bration brochure. Demonstrator starter kit only $125 during Sale-A-BrationAnd, joining Stampin' Up! as a demonstrator during Sale-A-Bration pays for itself in free merchandise monthly! The $175 starter kit (with $340 worth of product and supplies) is only $125 during Sale-A-Bration... and you get either a free package of Designer Series Paper or a Digital Download every month for the rest of 2012. You can switch each month. Digital Download one month; package of Designer Series Paper the next month. Contact me if you want to learn more. Or learn more and sign up on-line. You can sign up on line at the "Join Now" button!